Hiro Fine Art is interested in purchasing artworks by Ray Parker. Raymond Parker was born in Beresford, South Dakota in 1922. He began attending the University of Iowa in 1940 and showed a strong interest in both the visual and musical arts. He studied painting, art history, and art criticism as well as working as a professional Jazz trumpeter. Parker finished his Masters program at Iowa in 1948 and took a teaching position at the University of Minnesota. He had his first one man exhibition at the Louisville Art Center in Minneapolis in 1950. The year proved to be pivotal in his artistic development. Parker spent some time in San Francisco that year and was exposed to Abstract Expressionism and moved to New York a year later in 1951. Parker’s artistic style began with a strong cubist aesthetic and became looser with a stronger influence of colors around 1951. 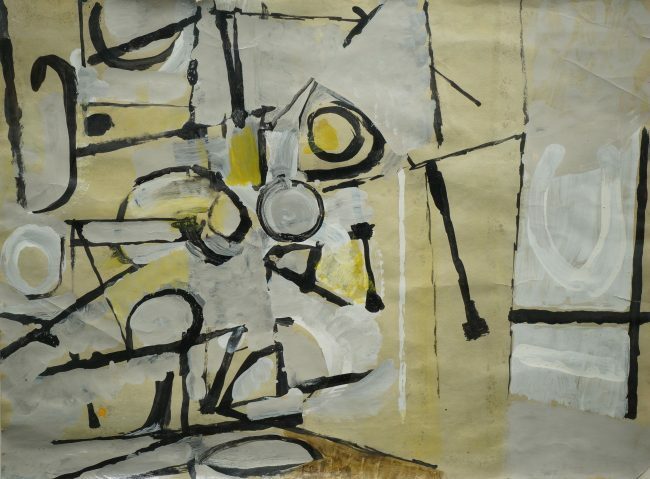 He took a teaching position at the Memphis Academy of Art and later at Hunter College in 1955. His most well known style developed around 1957 when he started painted light, monolithic cloud like forms over a neutral ground. His style continued to evolve throughout the years and he is considered one of the leading Abstract Expressionists of our time.